If you’ve always wanted to learn how to scuba dive, discover new adventures or simply see the wondrous world beneath the waves, this is where it starts. The PADI Open Water Diver course is the world’s most popular scuba course, and has introduced millions of people to the adventurous diving lifestyle. The fun part about this course is . . . well, just about all of it because learning to dive is incredible. You breathe underwater for the first time (something you’ll never forget) and learn what you need to know to become a certified diver. During the course, you’ll make at least five pool dives and four dives at local dive sites under the supervision of your PADI Instructor. The PADI Open Water Certification will certify you to dive to a depth of sixty feet. You may be able to earn college credit for the PADI Open Water Diver course! Scuba Divers need to know and understand the basic principles of scuba diving and the effects it has on us. You can take this part of the certification online, Open Water Diver Touch or in a classroom. We pride ourselves in giving you the personal customized experience that you deserve and this is why we recommend the classroom option. We include the PADI Open Water Certification Crew Pack which includes a Textbook, DVD, Log Book, and Dive Tables or ERDPml. Here is where you will use all of that knowledge you learned in the classroom. We have a privately heated pool onsite (seasonal) that we keep at 89 degrees so you can focus on learning how to scuba dive. 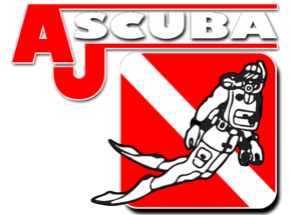 We will teach you all of the skill necessary to scuba dive safely. We provide all of your dive gear except your personal gear (mask, snorkel, boots, fins, and gloves). Please see our Equipment Page for more information. We will complete four Open Water Certification Dives with you. During these dives we will review all of the skills you have learned previously in the pool. We again provide all of your equipment except for your personal gear. We can even complete these dives while showing you some local Lake Michigan shipwrecks. If that isn't appealing to you we can do your certification dives at another inland lake. Site and charter fees are not included. Students who only complete two Open Water Certification Dives earn the certification level of PADI Scuba Diver. PADI Scuba Divers can only dive under the supervision of a PADI Instructor or PADI Divemaster. You need to float / tread water for ten minutes and be able to swim 300 yards with mask, snorkel and fins. Includes Padi Open Water Textbook, Classroom Lectures, Pool Training, Four Open Water Certification Dives, Certification Card and Rental Equipment. Does NOT include Personal Gear (Mask, Snorkel, Boots, Fins and Gloves). Please see our Equipment Page. Does NOT include dive site fees or Charter Boat Fees. If you would like to take the PADI E-Learning Online course, we will provide you with an access code. You will take your classroom sessions online at your leasure. When you have completed the online course, we will have a review and final testing at our facility. Please contact us if you would prefer this option so we can provide you with an access code. You can track your dives using dive tables, a depth gauge and dive watch, but most scuba divers use a dive computer – it’s easier. A dive computer provides the real-time dive information you need to dive well.A dive computer takes depth and time information and applies it to a decompression model to track the dissolved nitrogen in your body during a dive. Your computer continuously tells you how much dive time you safely have remaining. Your computer combines a depth gauge, timer and sometimes a submersible pressure gauge (SPG) into a single, useful instrument. The majority of divers have a computer because it makes sense. This option includes your very own Deepblu Cosmiq+ Dive Computer! !